Now let's take a closer look at flowering plants! Wow! A flowering plant sure has a lot of parts! Let's focus on a few of the main plant organs! Leaves are furry important to a plant! The leaves are the plant organs that take the sun's energy, and along with carbon dioxide (from our air) and water, and convert it to food to feed the plants and the rest of the world! There are many different kinds of leaves -- here, take a look! Here is a look at the surface of a leaf through the microscope, if you look real hard, you can see the tiny holes that let the carbon dioxide in and oxygen out during photosynthesis. Stems are important too! They give the plant support and a place fur the leaves and flowers to be! Inside the stem are special structures that act like "plumbing" to bring water and food to the whole plant! Some stems can become "modified" (changed) to do other things, like store extra food. Take a look at these! WOW!!! Tap roots are found with many trees and shrubs and other plants! A carrot is really a root! Buds are really baby leaves and flowers! Awwwwwwwww! I know flowers look pretty, but they are really important, fur from flowers come fruits, seeds and nuts! Here, take a look fur yourself! A flower becomes a strawberry! This flower will become a pear! Leaves are the plant organs that make the plant's food (photosynthesis). Stems provide support and a place fur leaves and flowers. Roots anchor the plant and allow water to enter the plant. Buds are baby leaves and flowers. Flowers are how flowering plants reproduce and gives us fruits, seeds and nuts to eat! 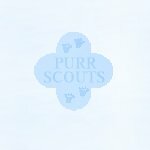 Notice!If you are NOT a member of CLAW, please e-mail us at Purr Scouts' Headquarters(ps@purrscouts.net) and we will send you the exam.